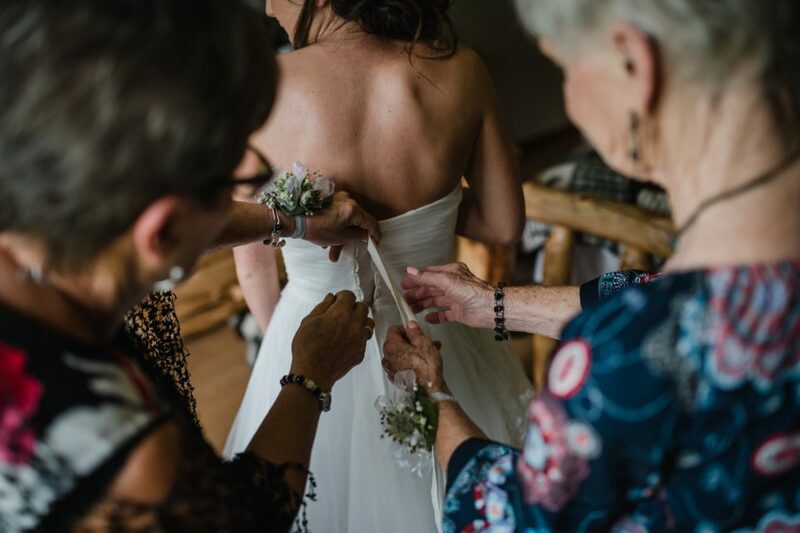 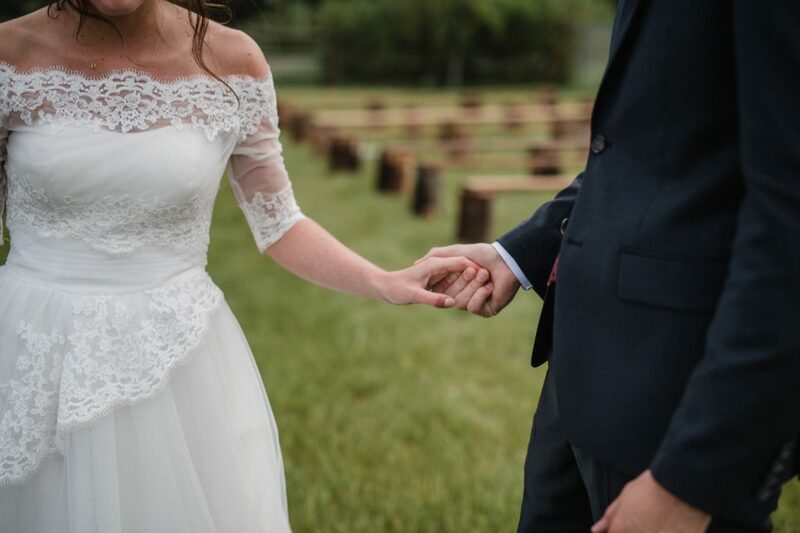 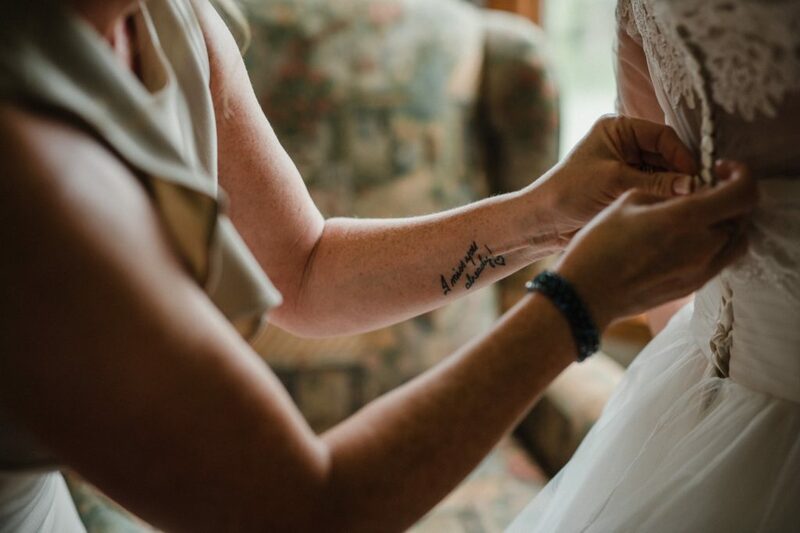 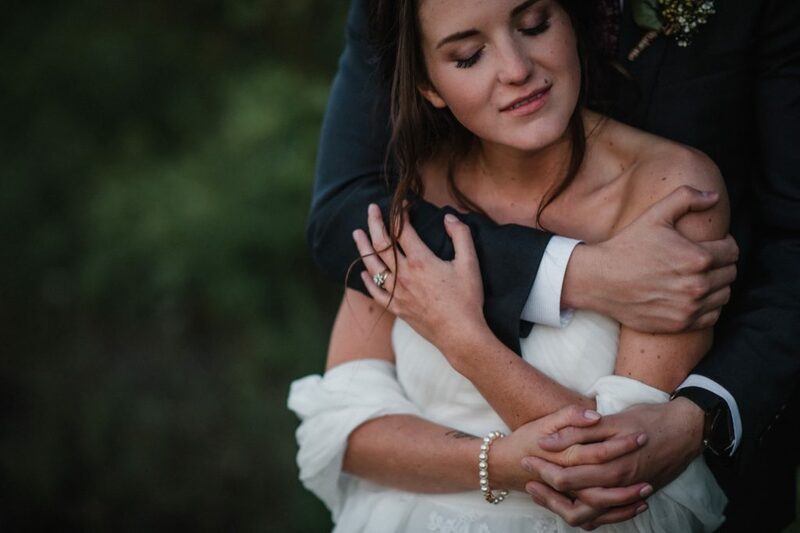 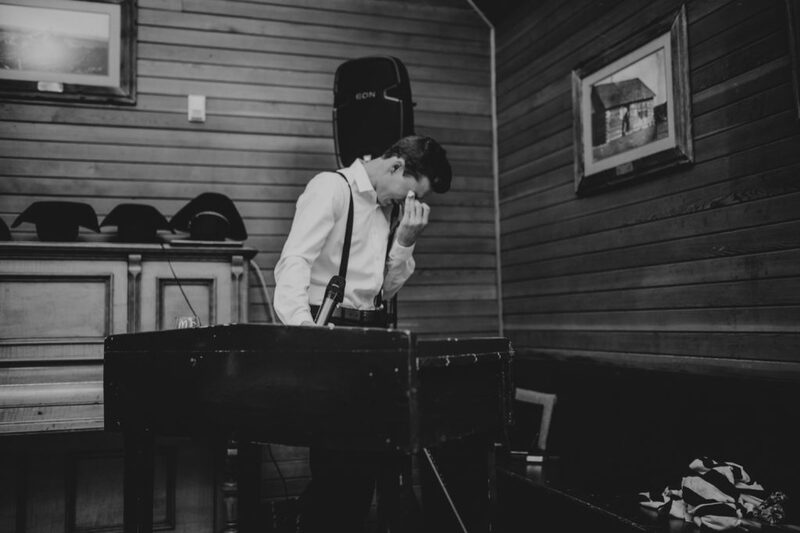 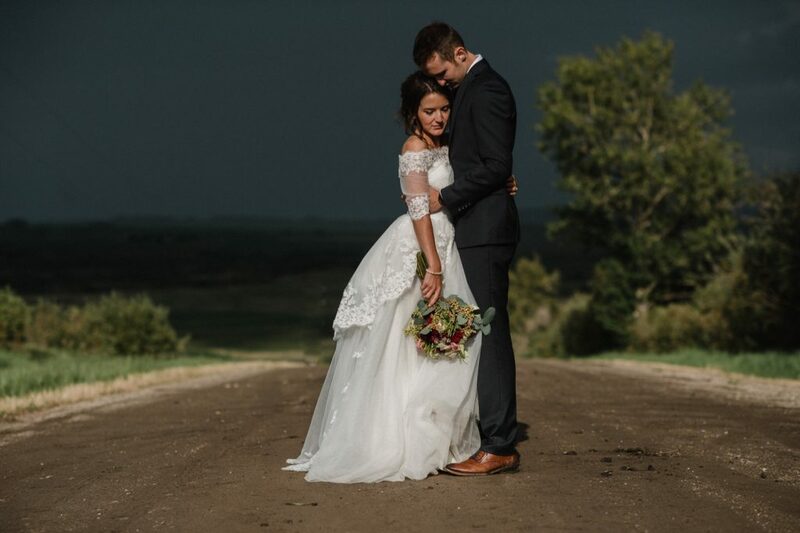 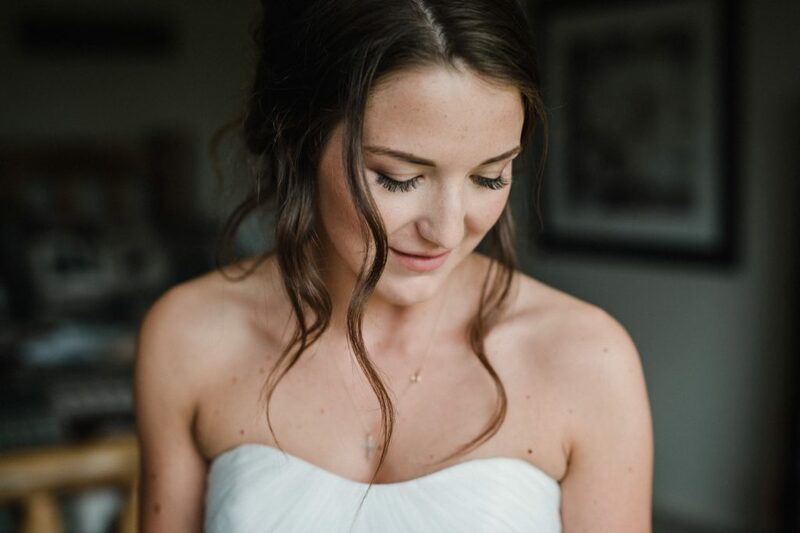 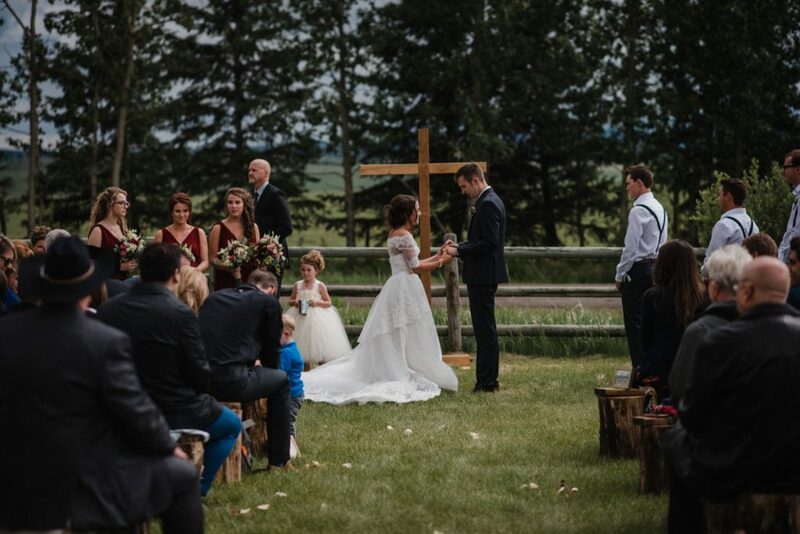 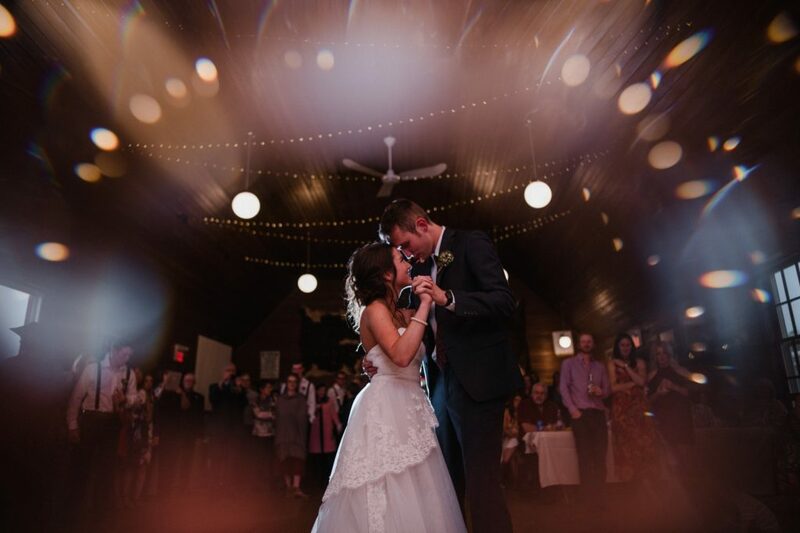 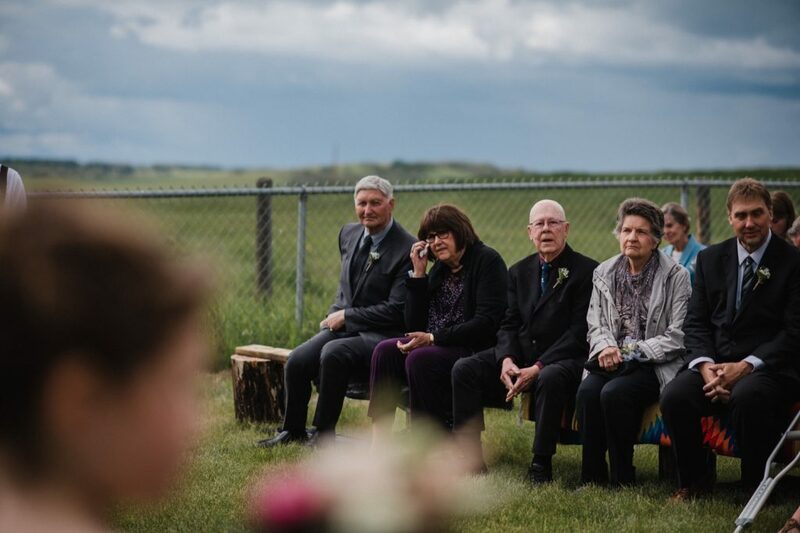 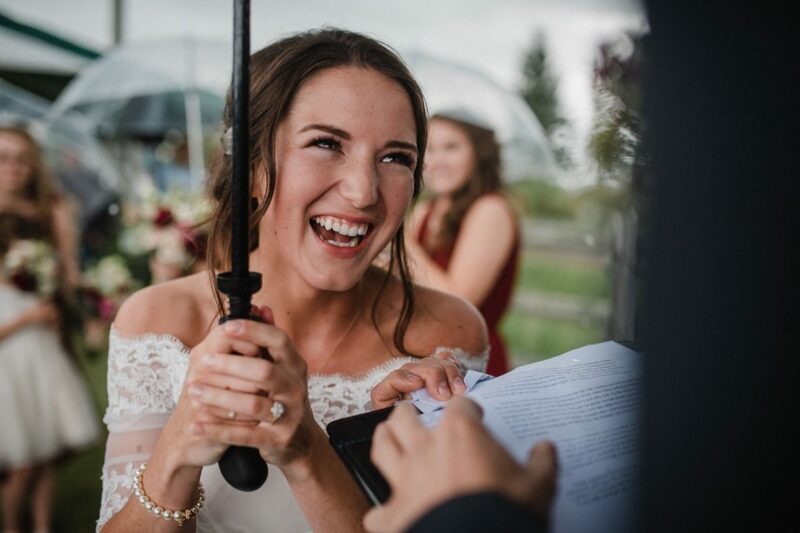 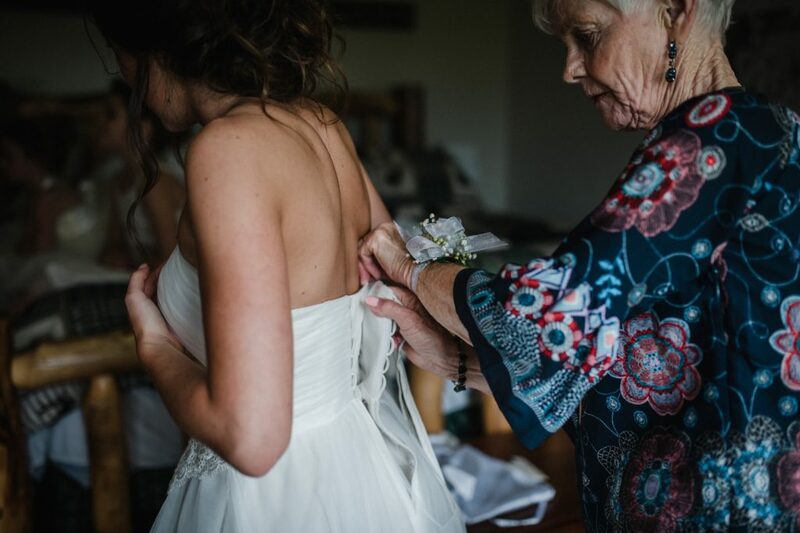 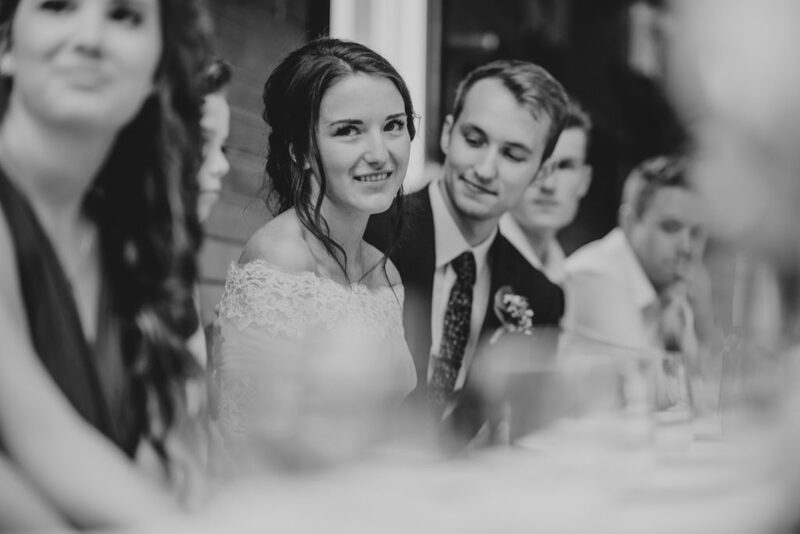 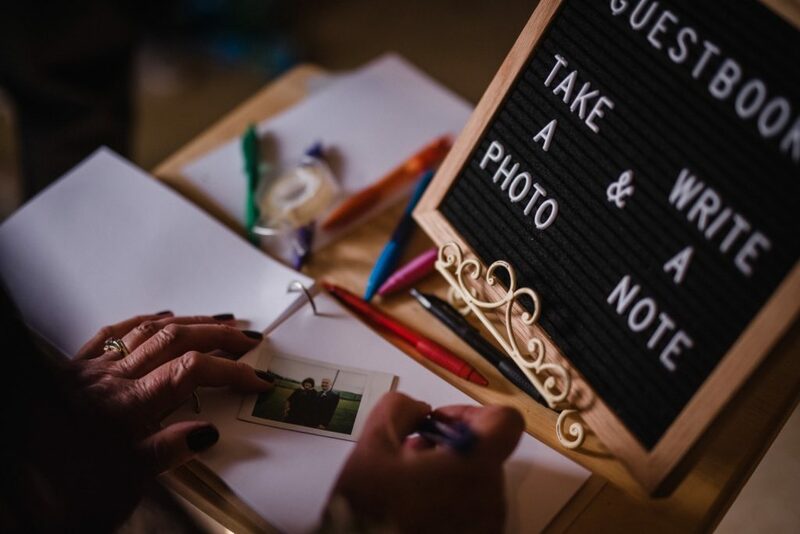 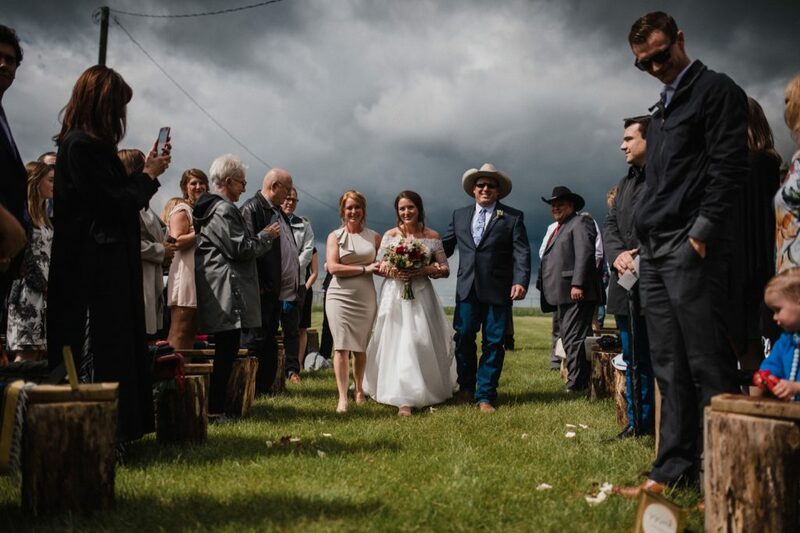 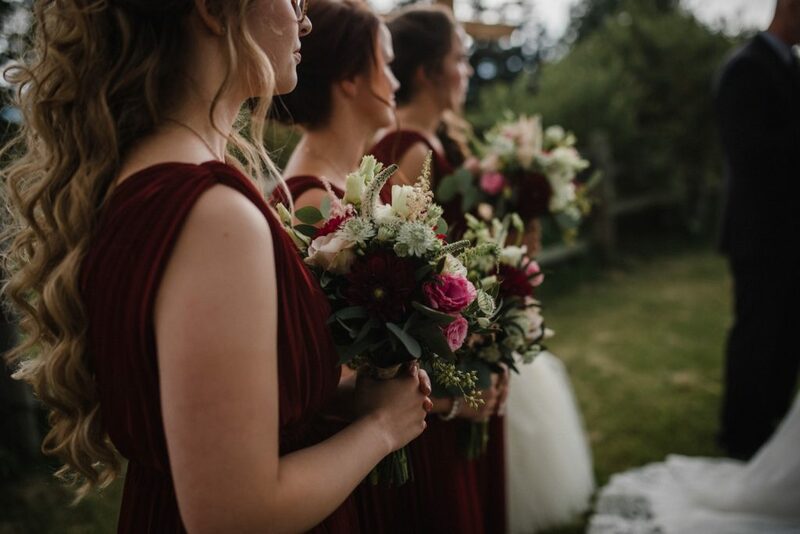 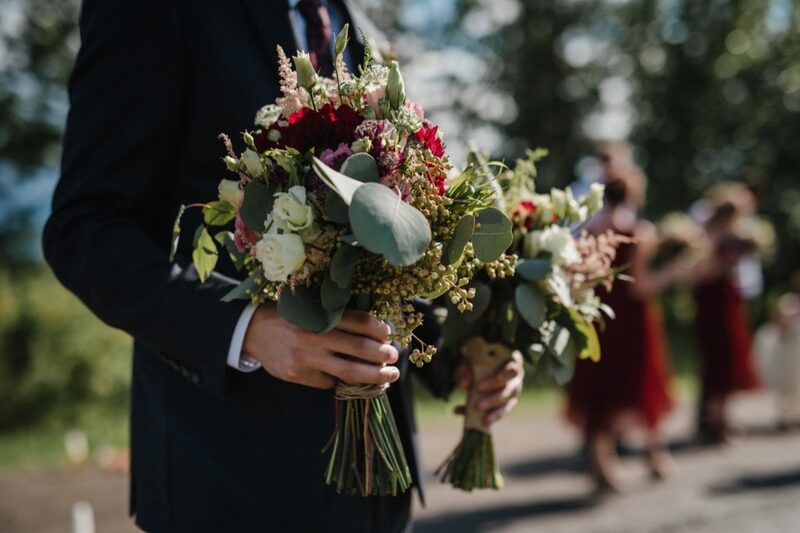 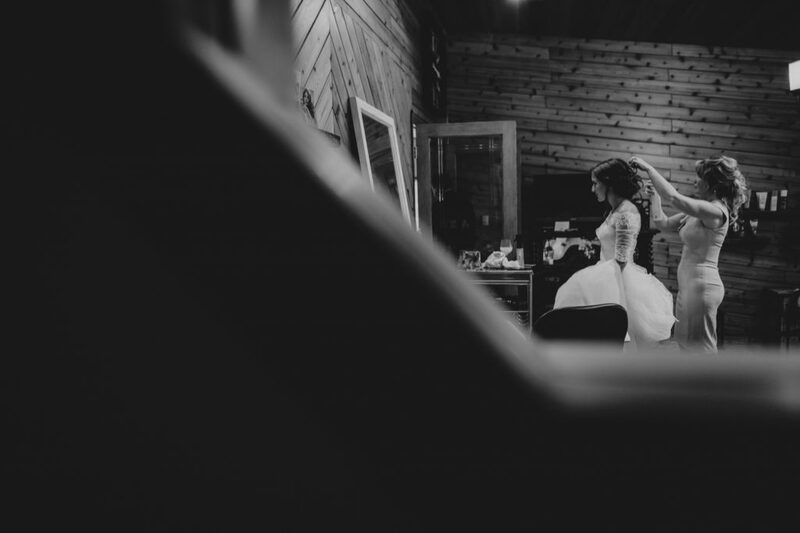 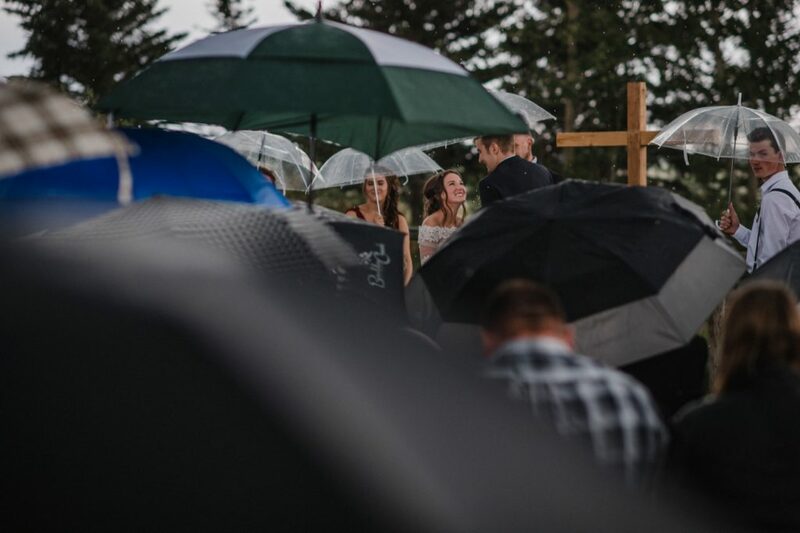 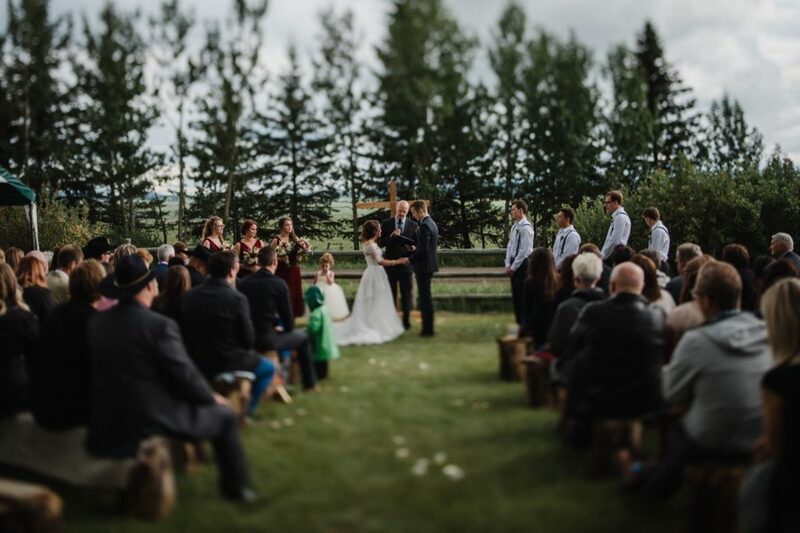 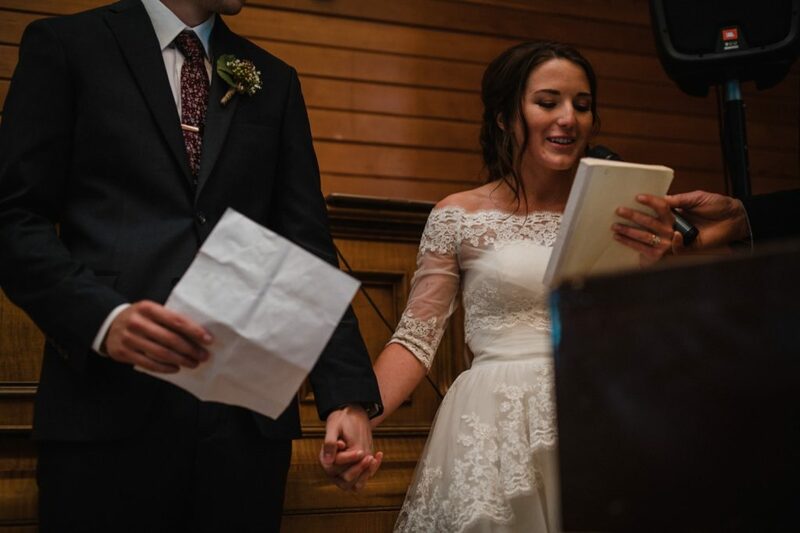 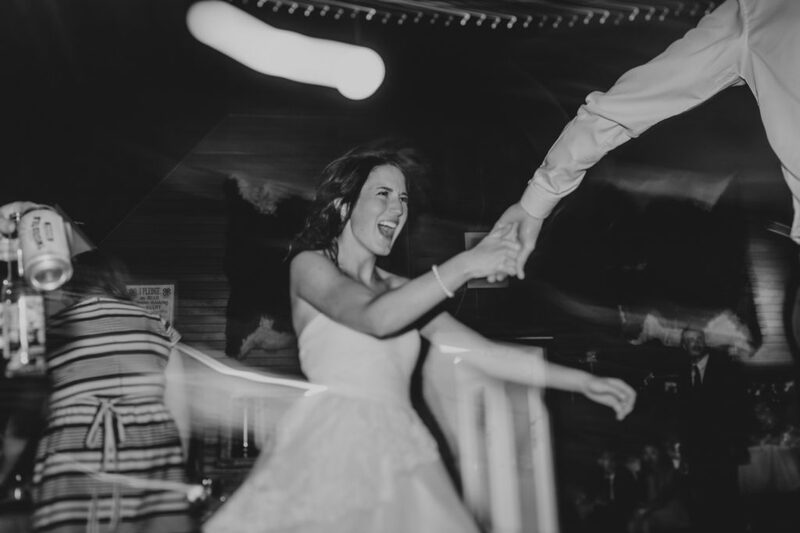 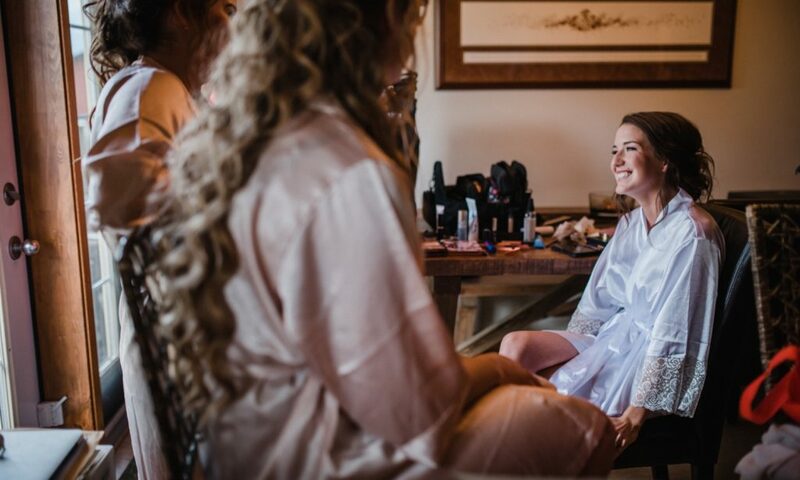 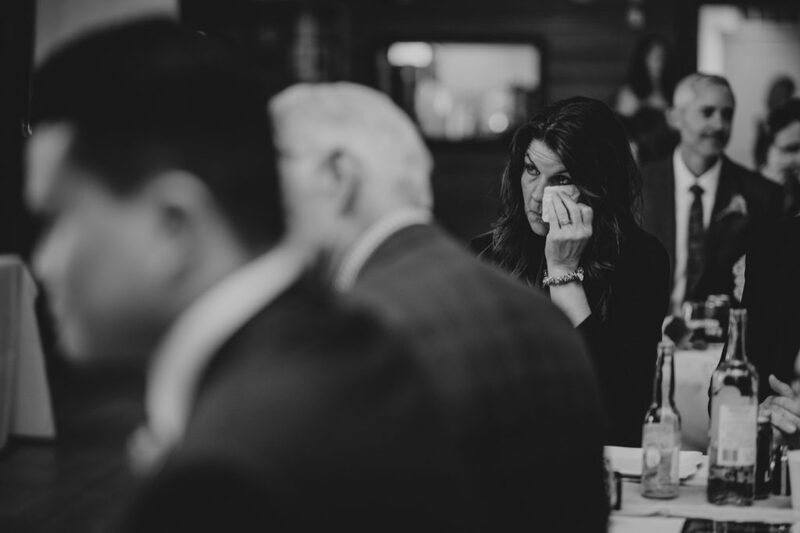 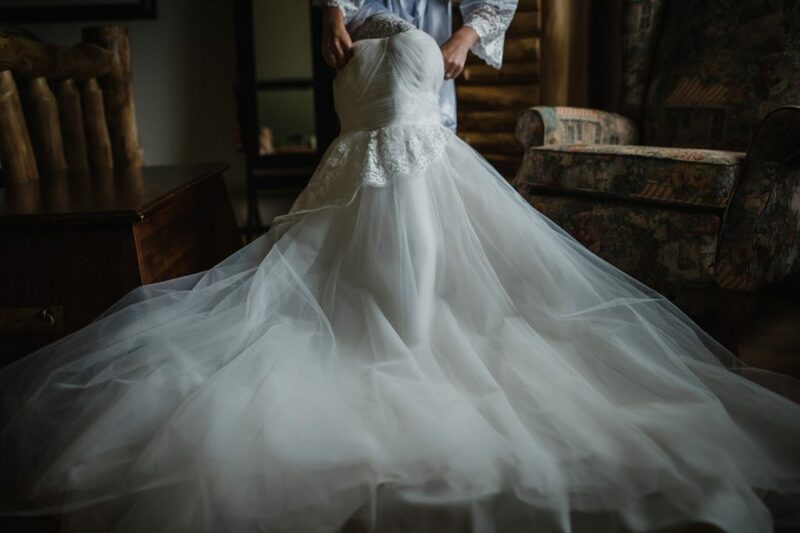 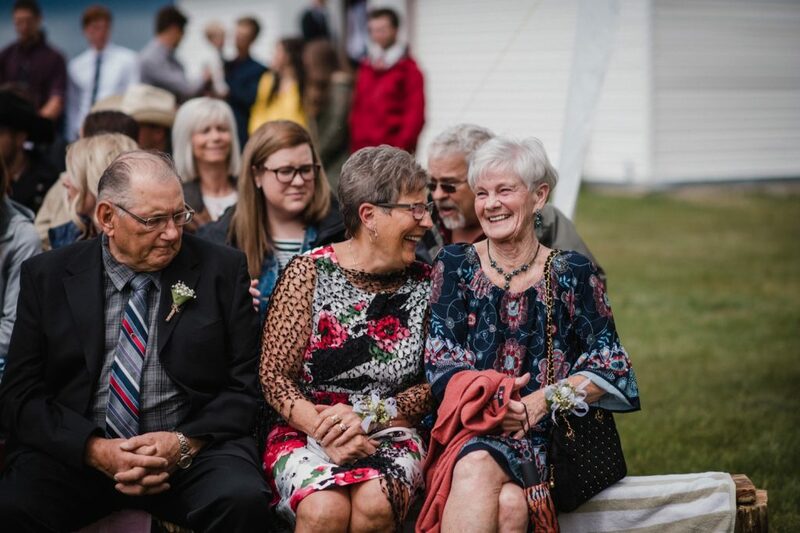 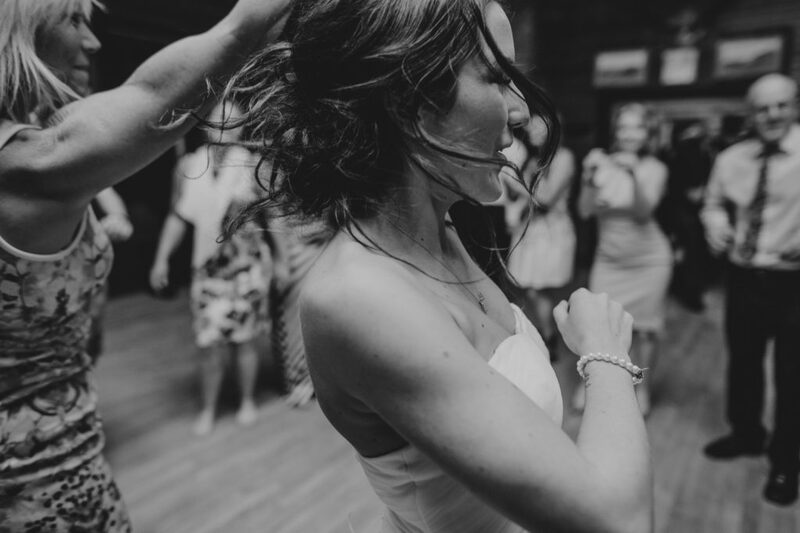 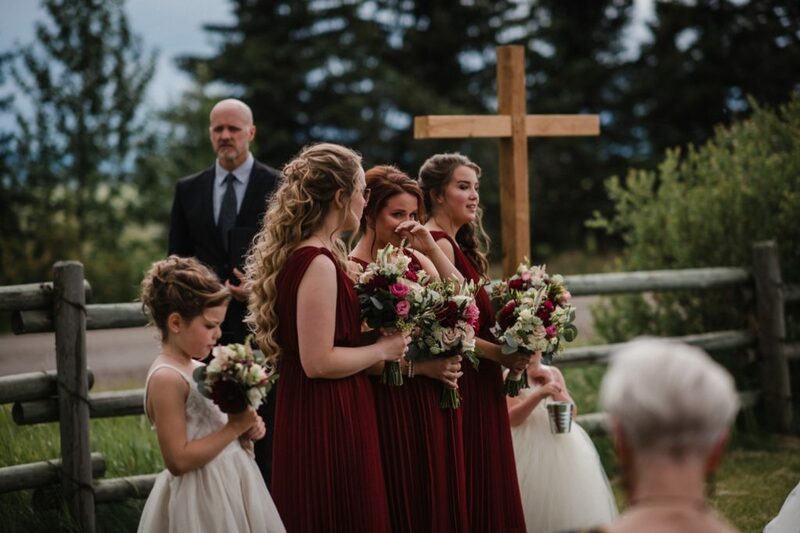 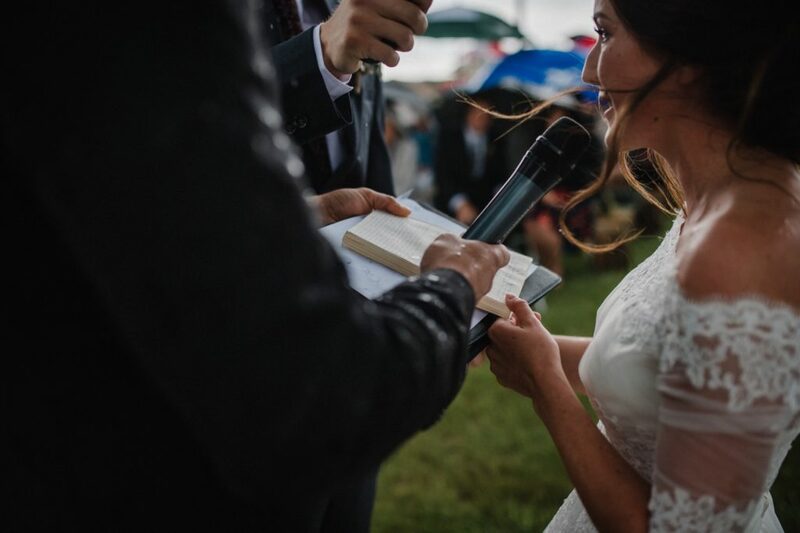 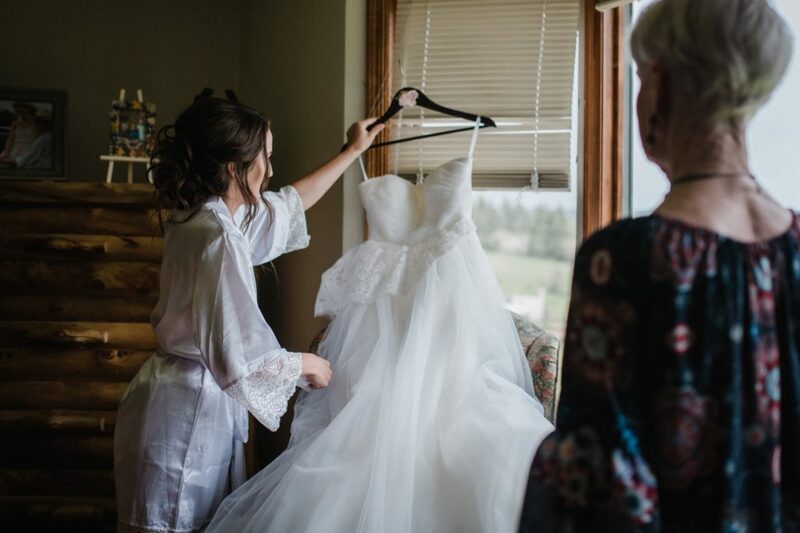 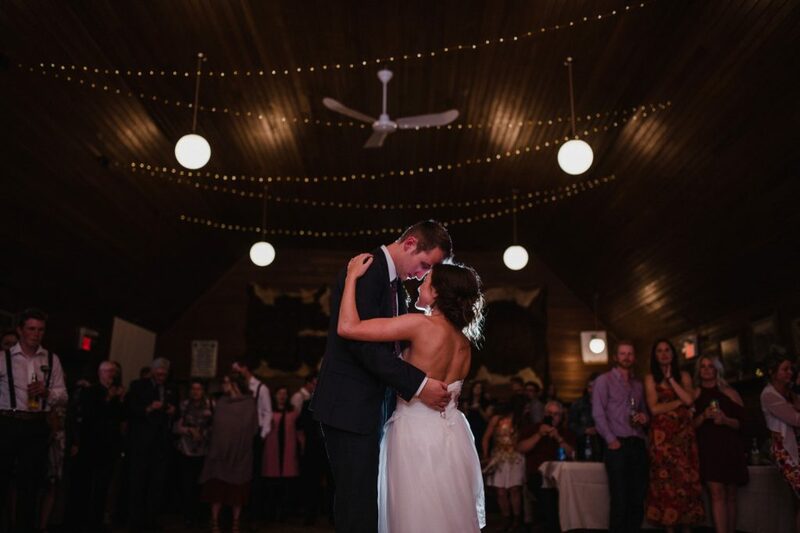 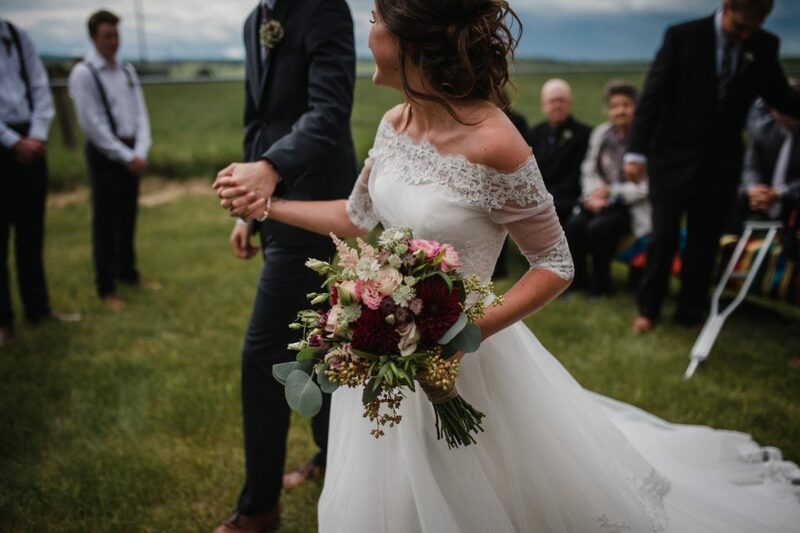 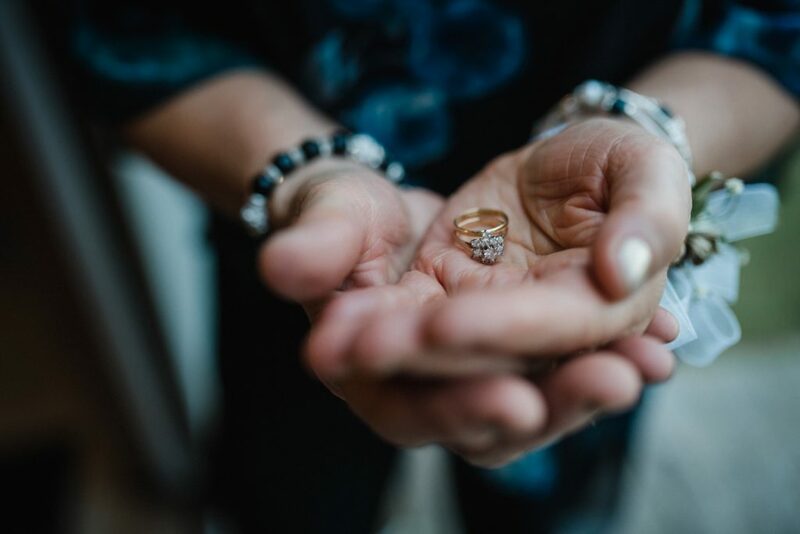 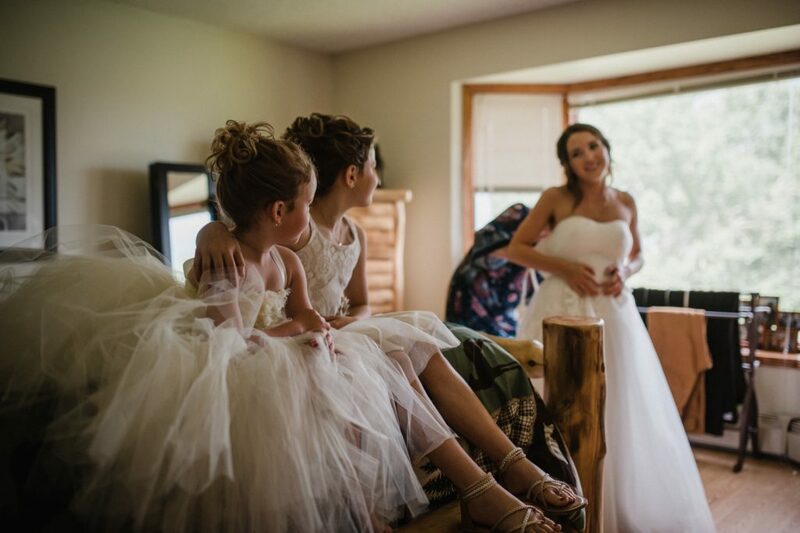 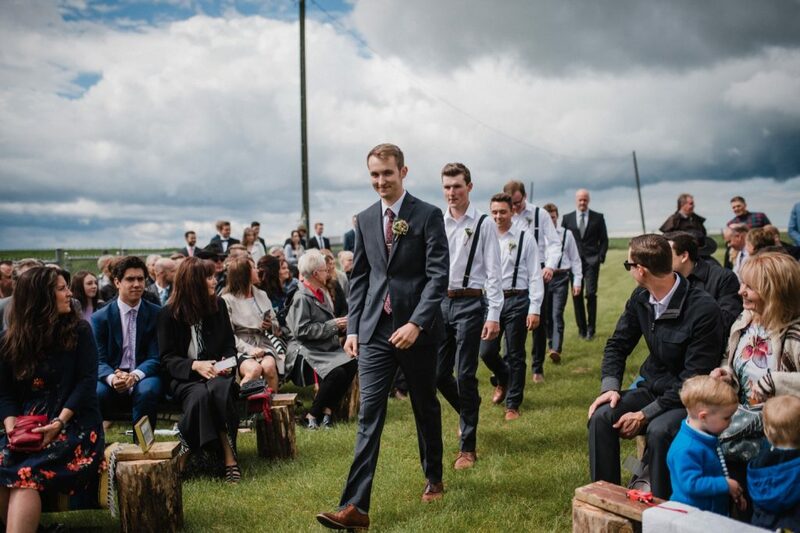 I didn’t even know where to start for Brett and Sydney’s wedding day so I thought, who best to ask then the bride herself…..
“The months and weeks leading up to our day we prayed and hoped for rain. 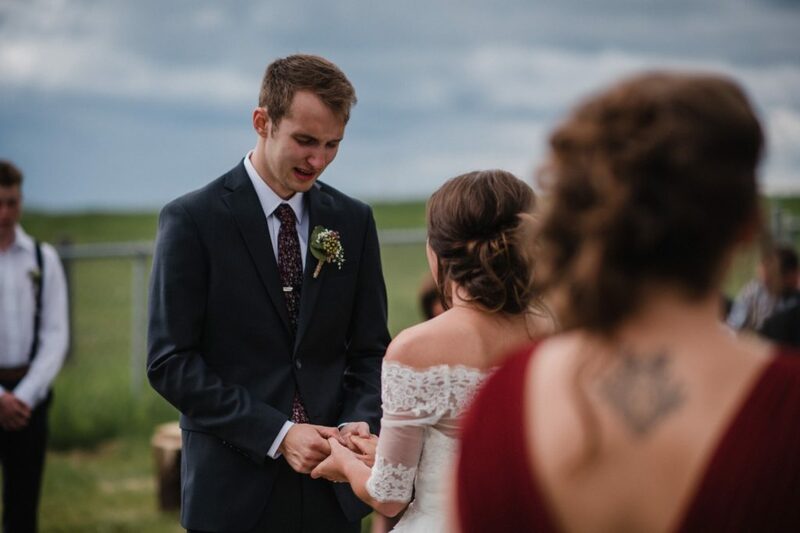 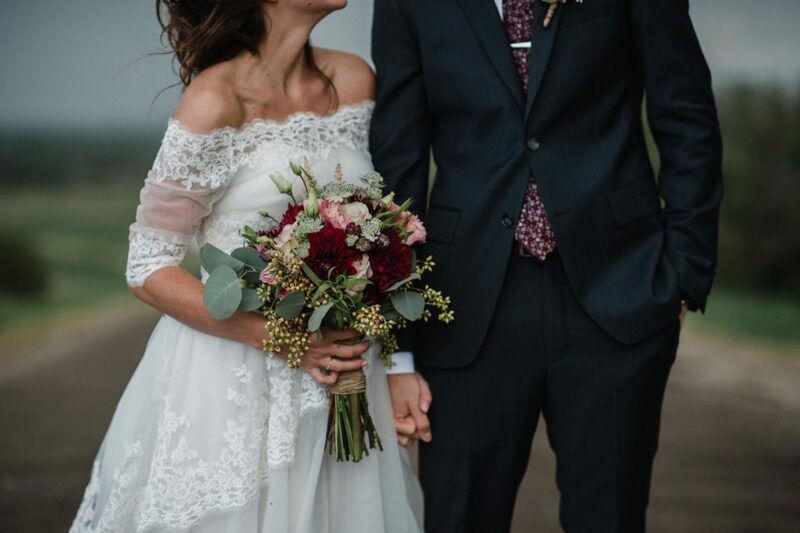 We wanted a day that would be so over the top memorable for us, and so unique to who we were as Brett & Syd. 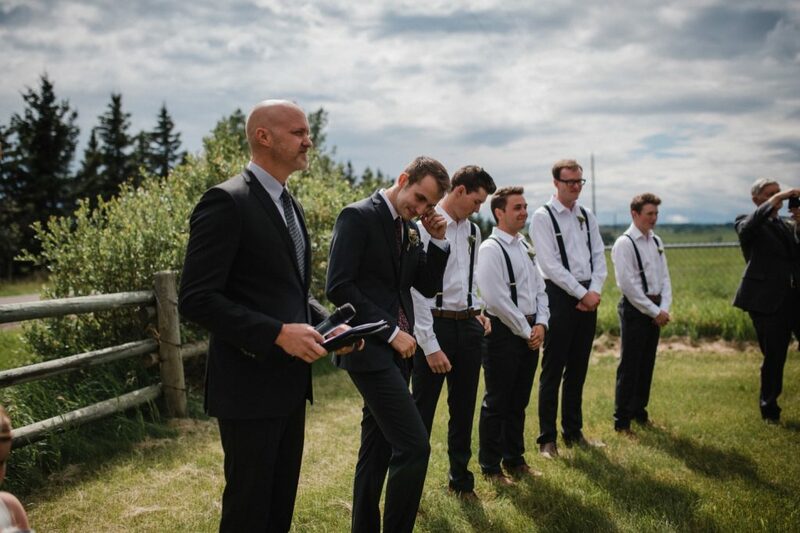 We had planned our ceremony to be outside and uncovered. 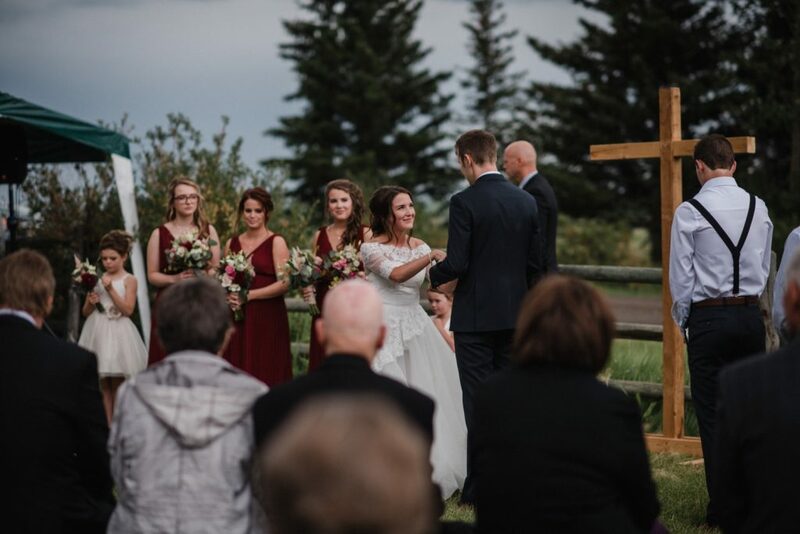 We had limited decor, our benches were donated by a family friend, and we picked up the Cross from our home church to be our alter. 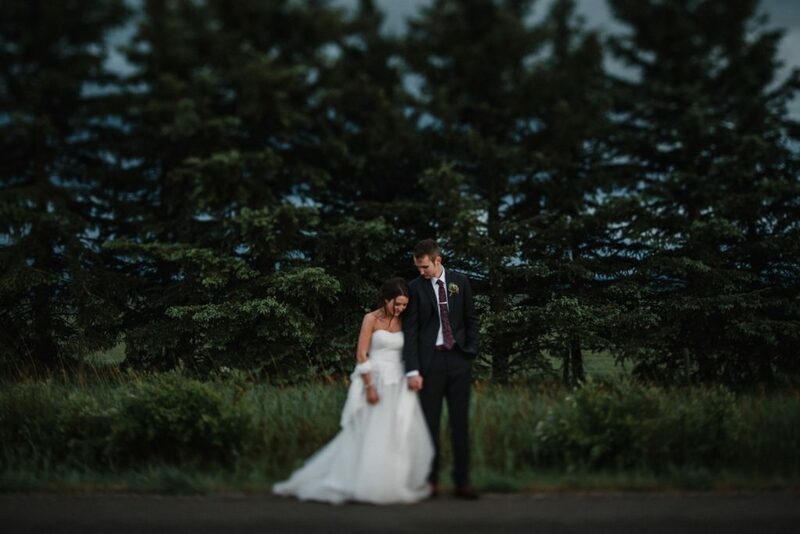 We were told to have a back-up plan, we knew it would just bring us so much joy so we opted out. 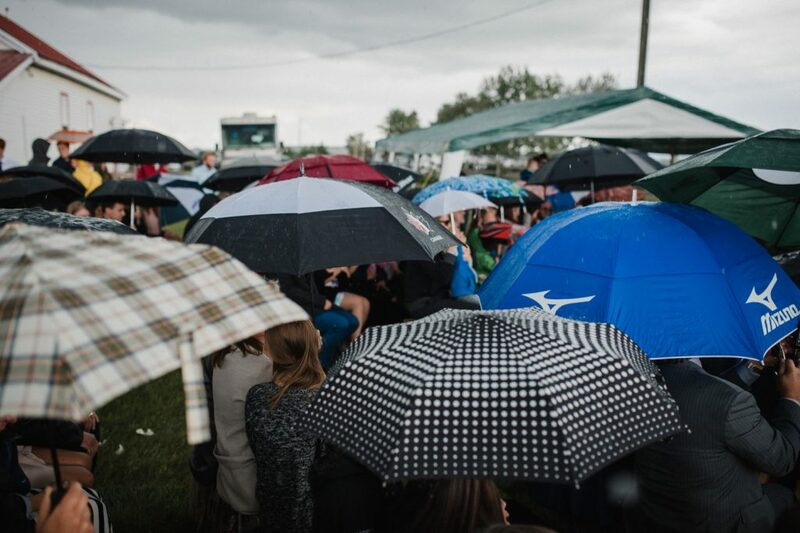 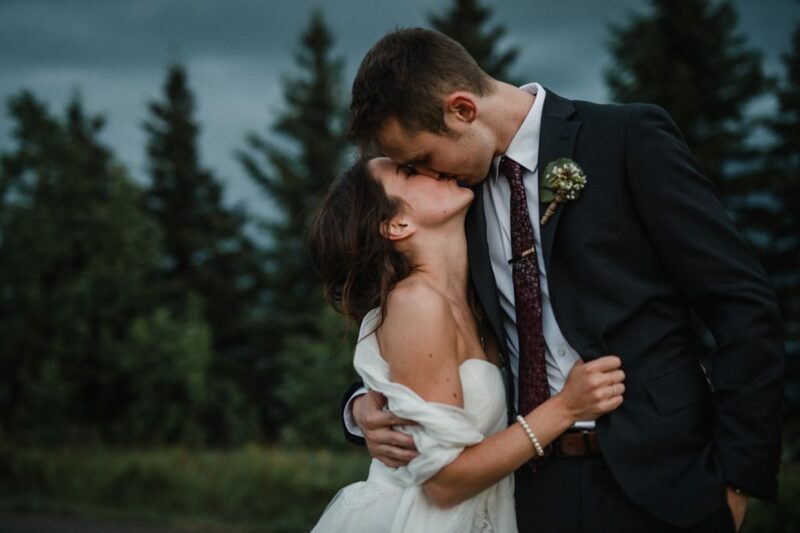 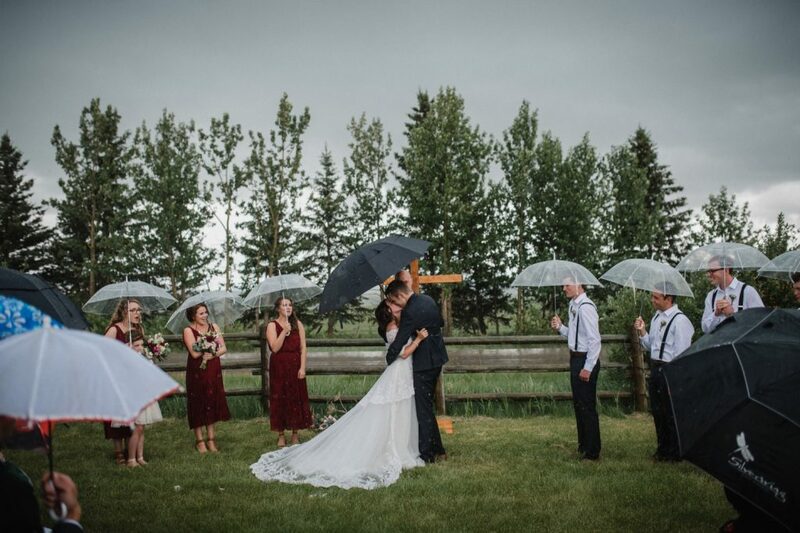 Everyone has heard of the saying that rain on your wedding day is good luck, but for us it was even more. 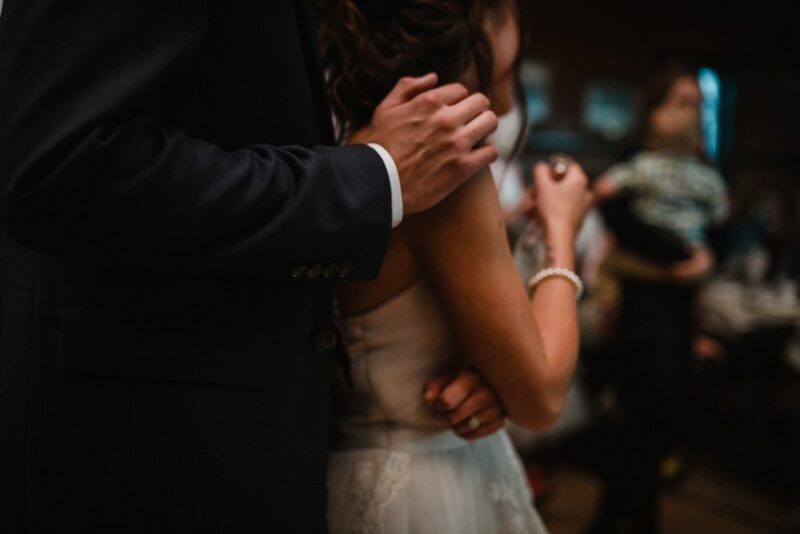 To us it was the intimacy, the rawness of heart and the spontaneity that storms bring that you just can’t get from a day that is planned down to the minute. 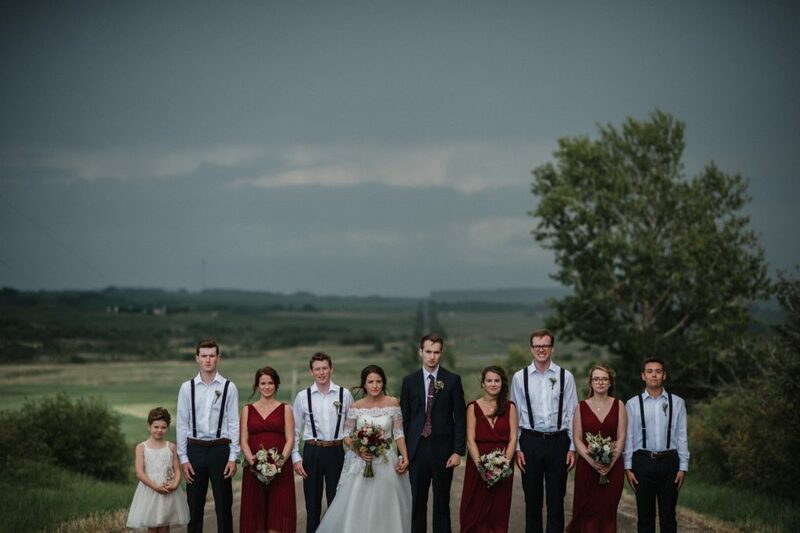 But, to put it simply, it was just us. 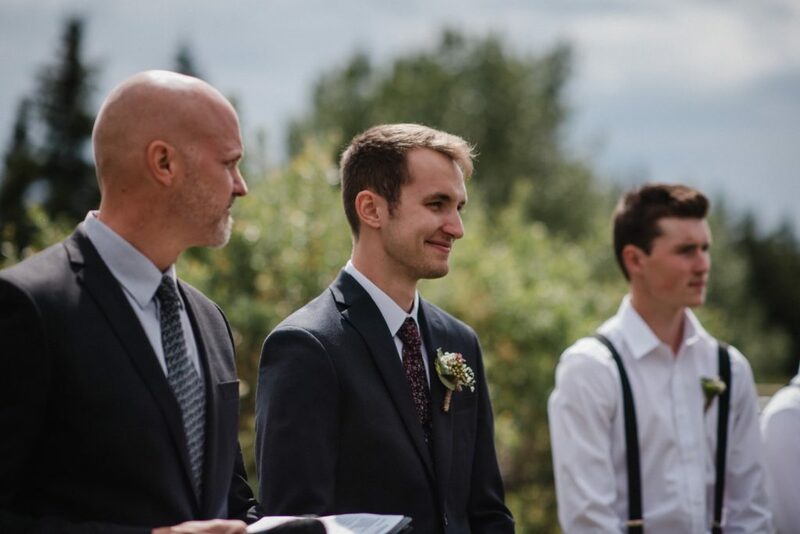 The sun shone down on us as my parents gave me away and as our pastor began the ceremony. 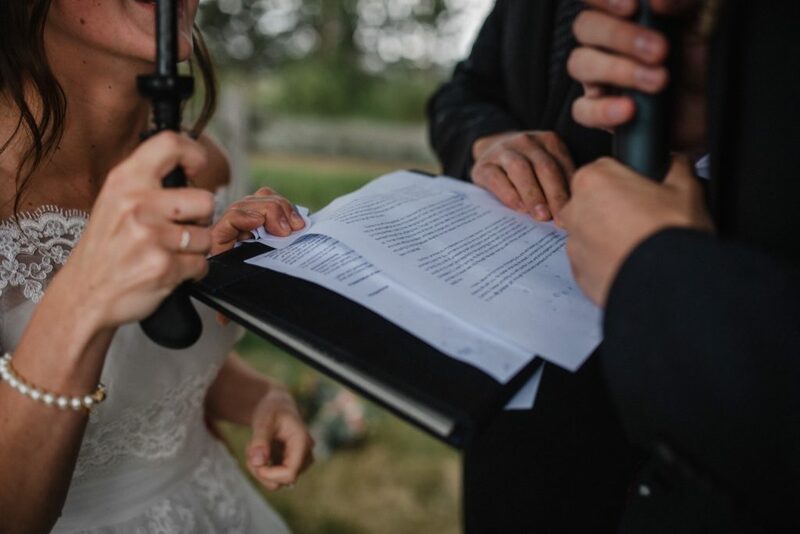 But, as soon as I began to say my handwritten vows rain started trickling down. 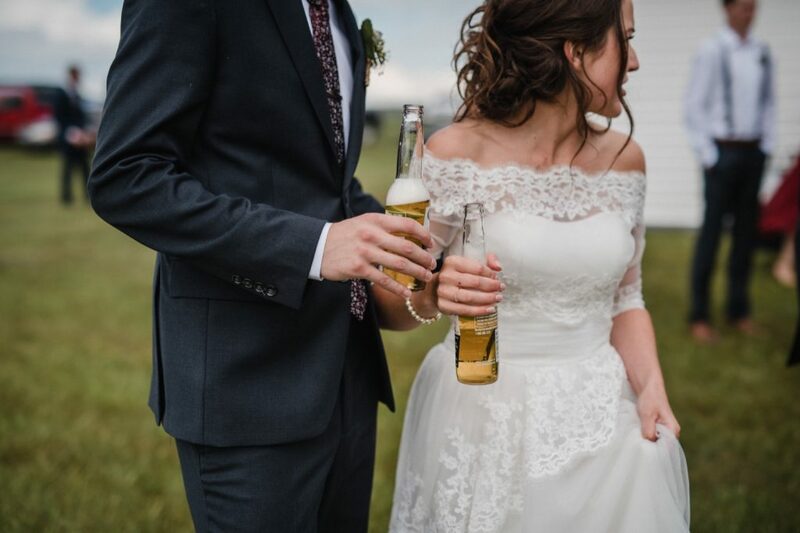 By the time I was finished it came down a little harder. 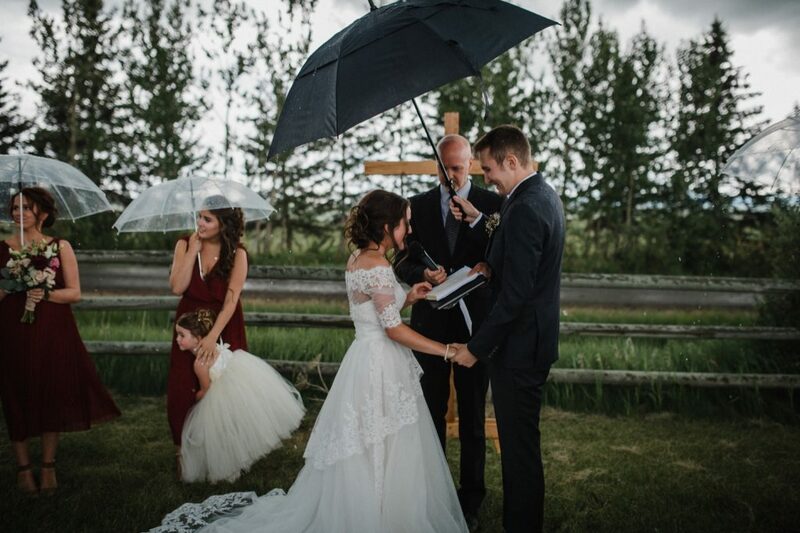 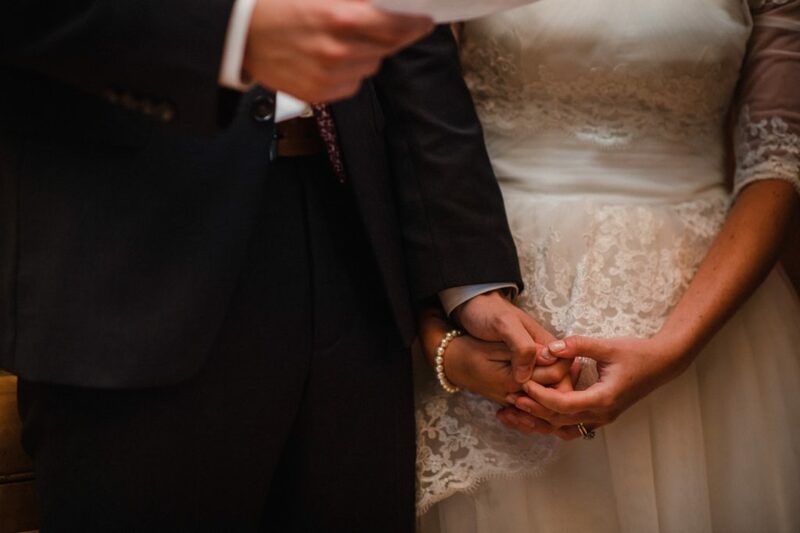 This is my favourite part, just as Brett began his vows hail started to fall hard onto the ground. 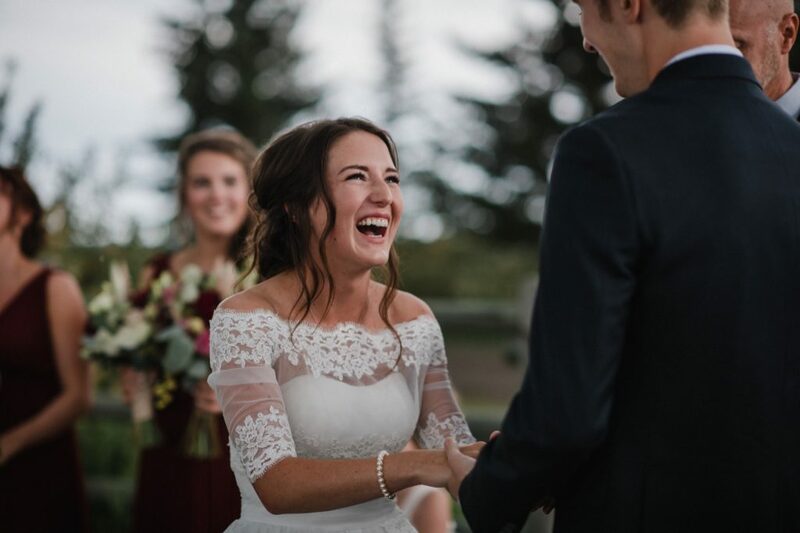 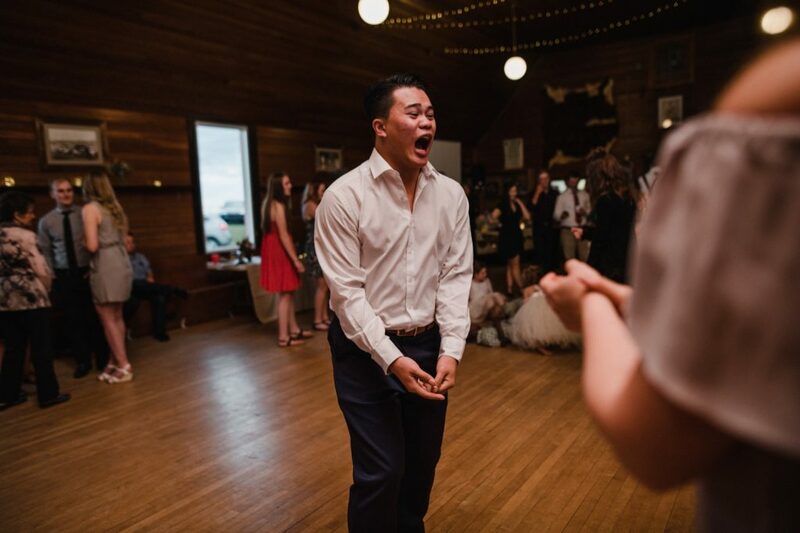 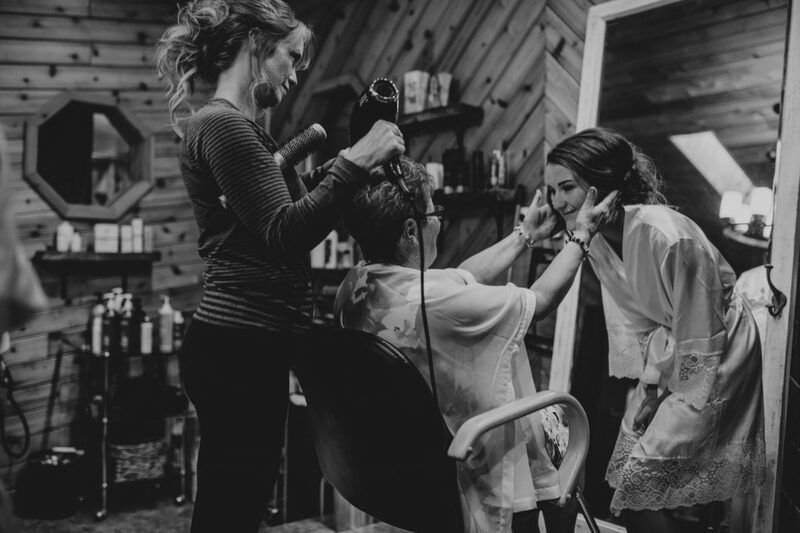 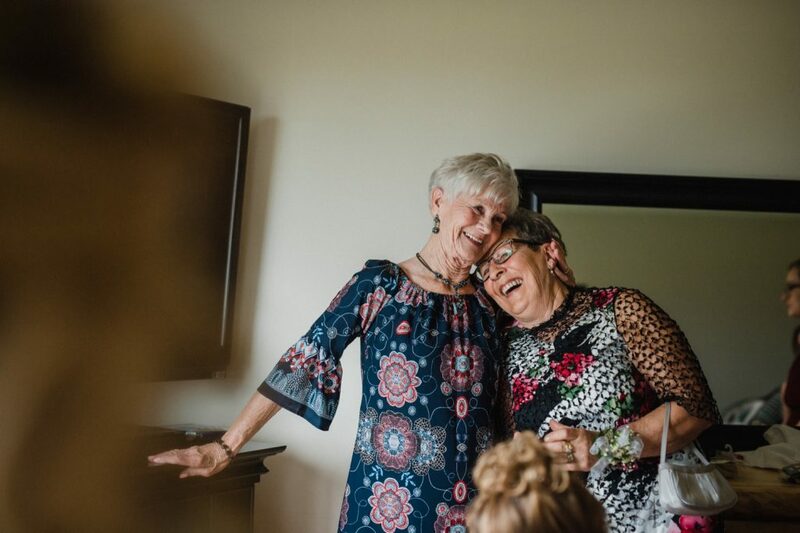 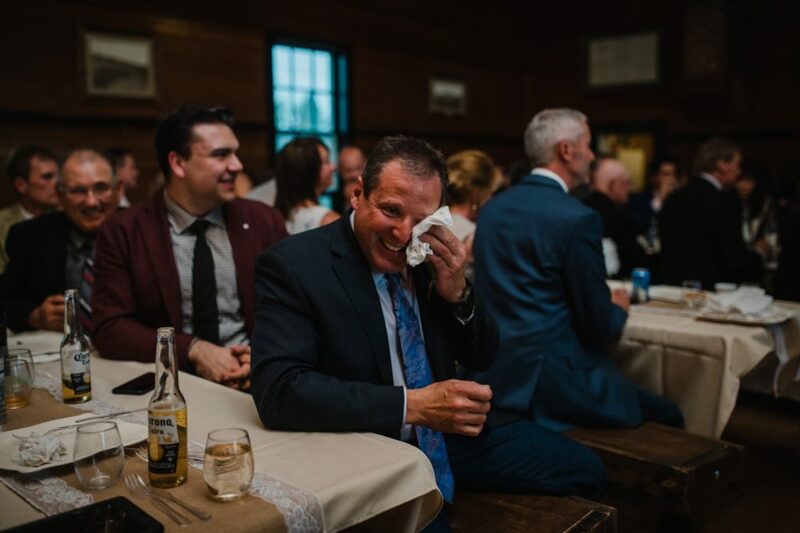 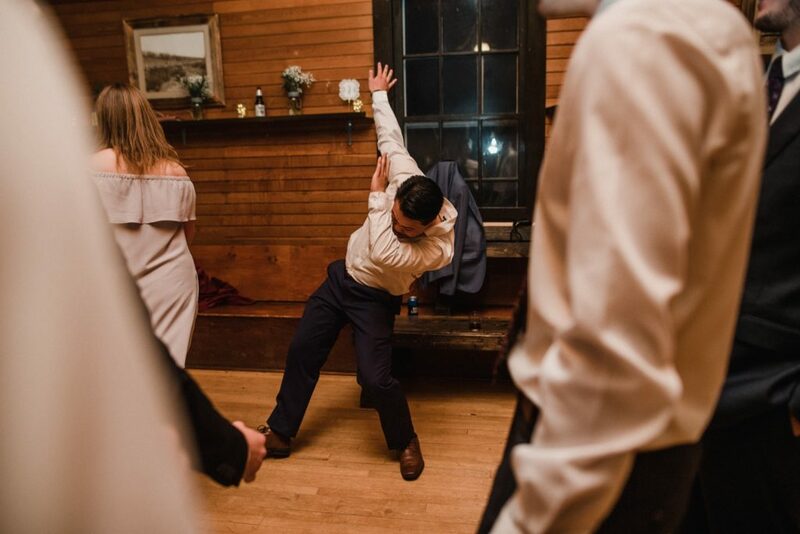 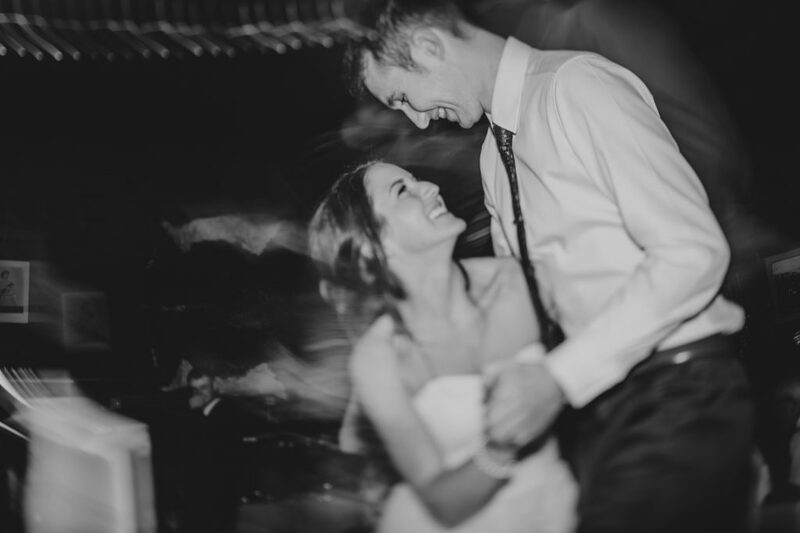 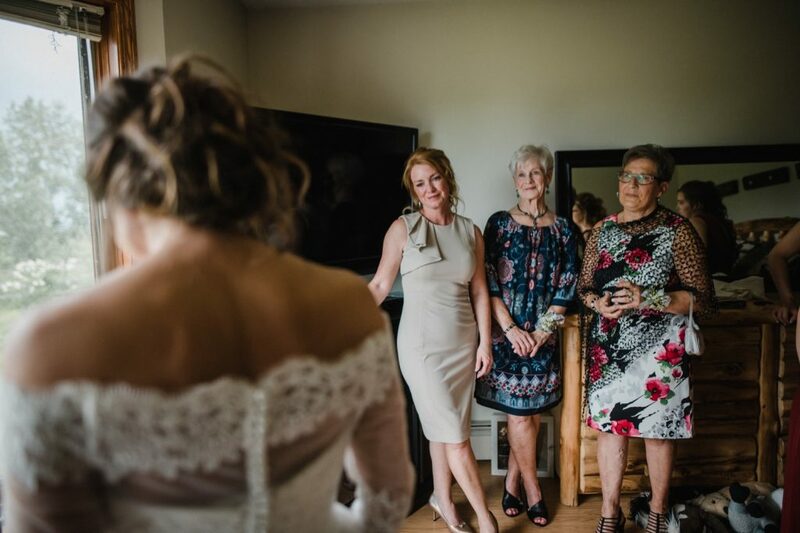 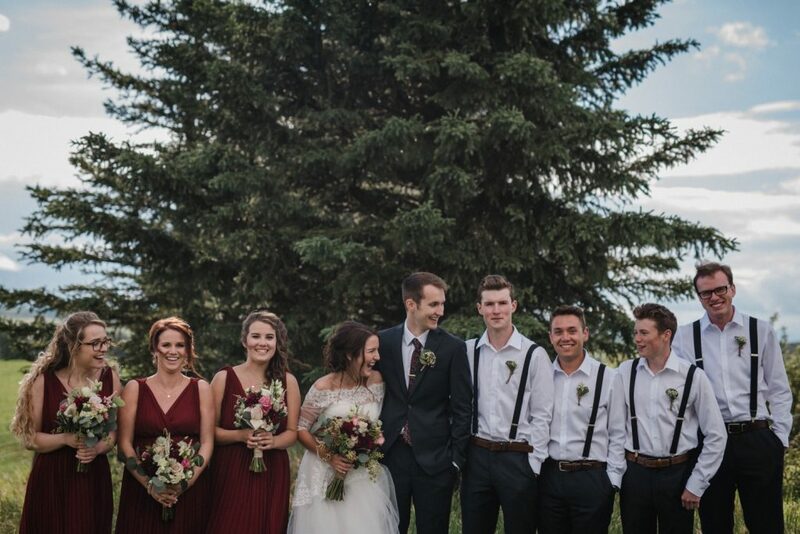 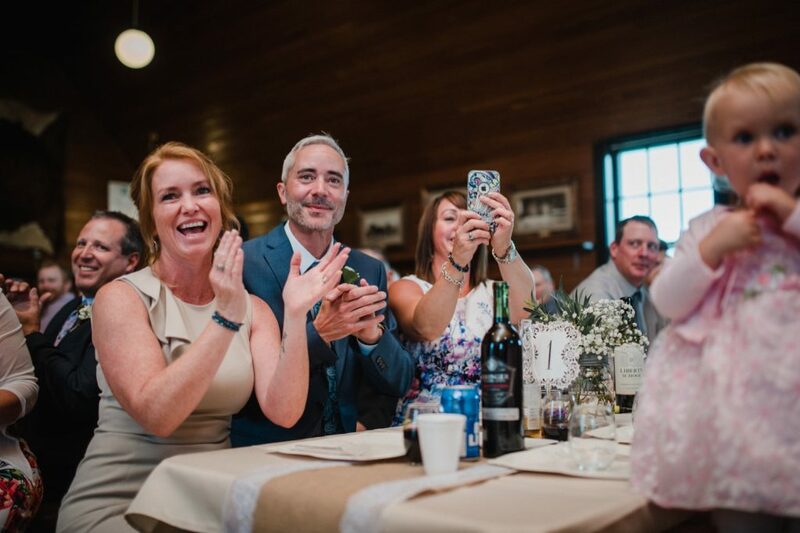 I began laughing histarically, along with the bridal party and all of our loved ones as Brett yelled his vows out with tears in his eyes and a huge smile on his face. 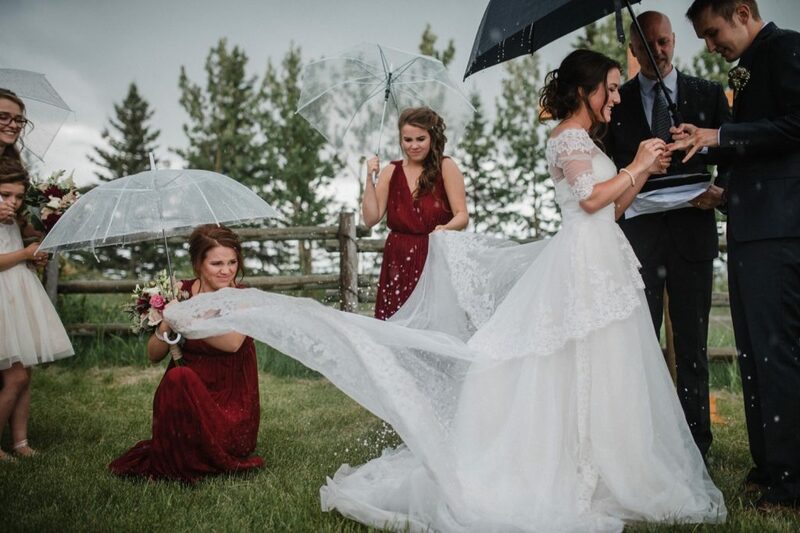 My sister eventually had to flip my train around to get at the hail that was piling up on top of it. 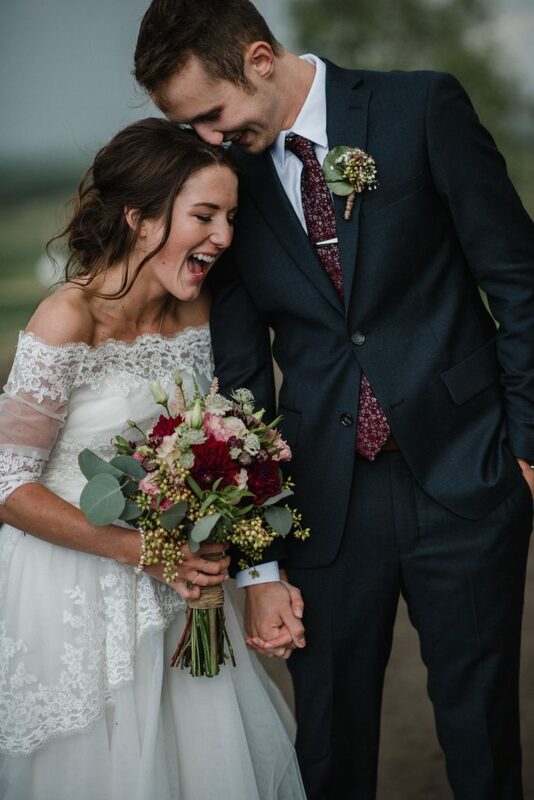 I don’t know what it was about that moment but the only word I can think to describe it would be perfect. 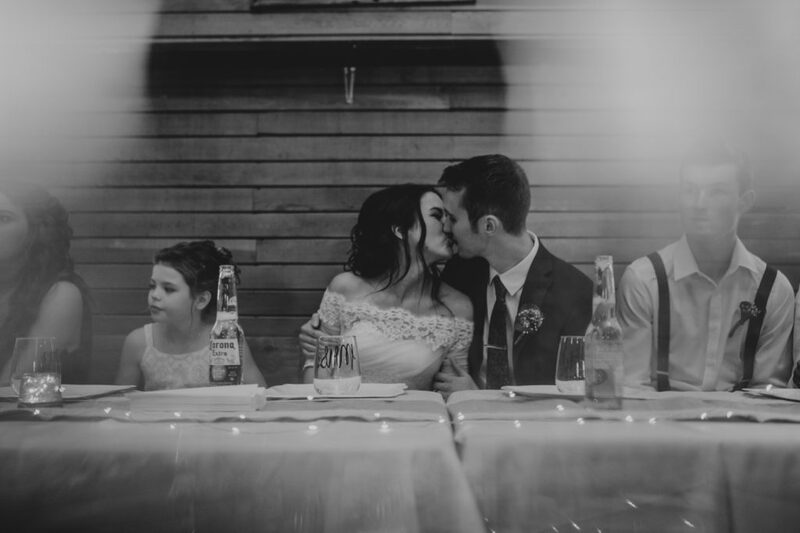 It was incredible – way more than we could have asked for or expected. 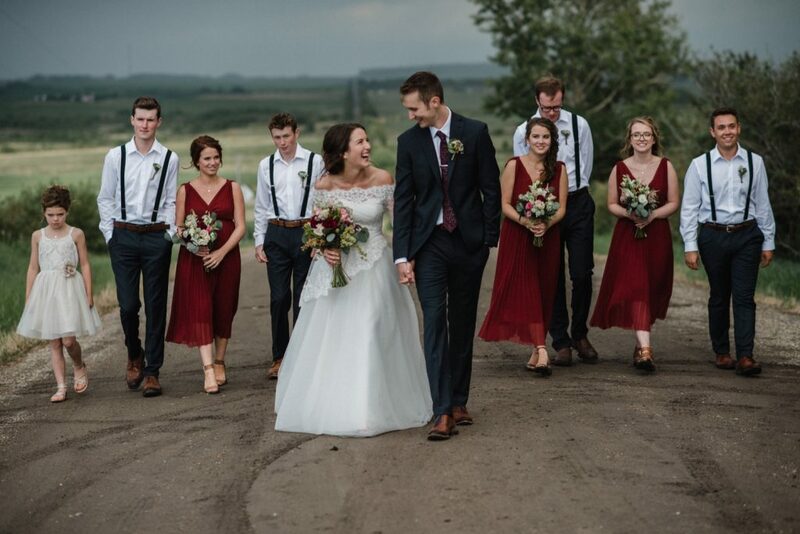 Another memory that is so significant and meaningful for me is running out into the muddy field across from our hall in bare feet to get post-dinner photos. 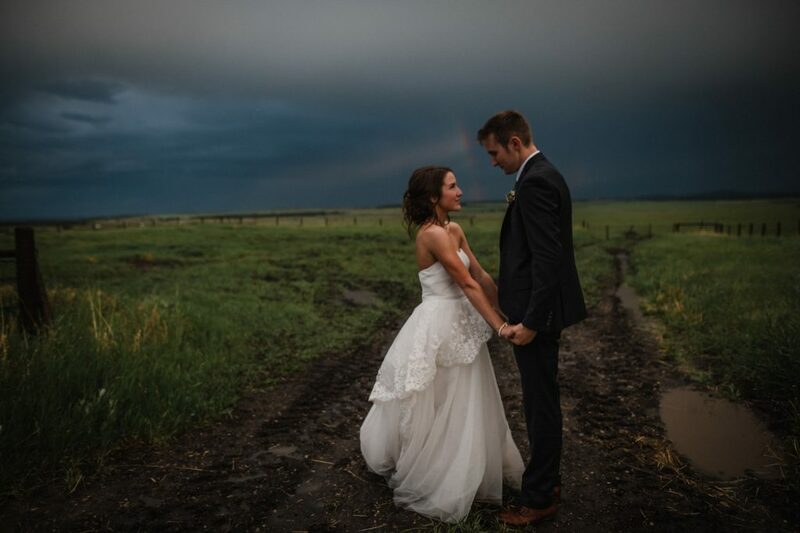 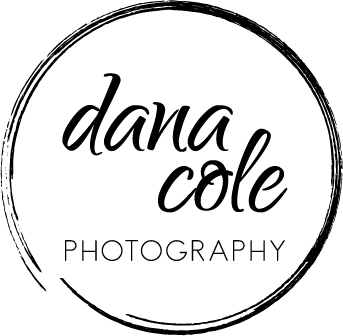  There was a beautiful rainbow that had peaked through, Dana nor us could resist. 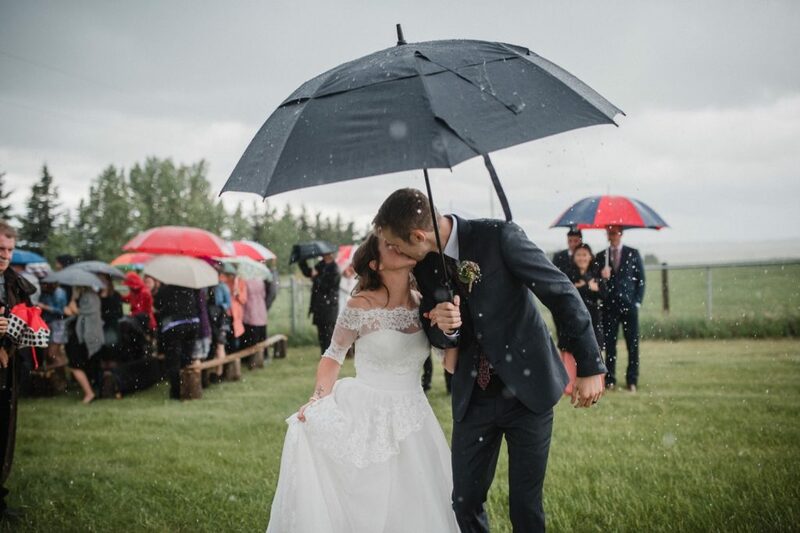 Dragging my dress and bare feet through the mud, looking into the bluest eyes of my new husband and smelling the freshest smell of rain. 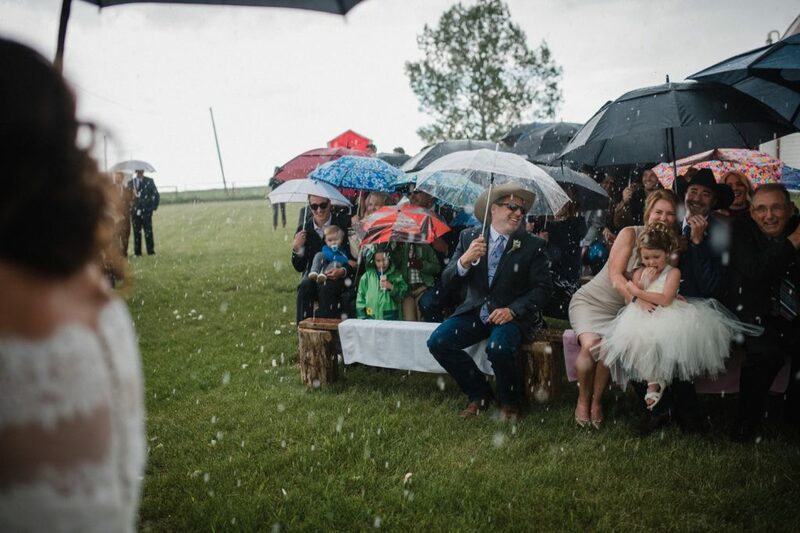 It is something I won’t ever forget – playing in the mud on our wedding day. 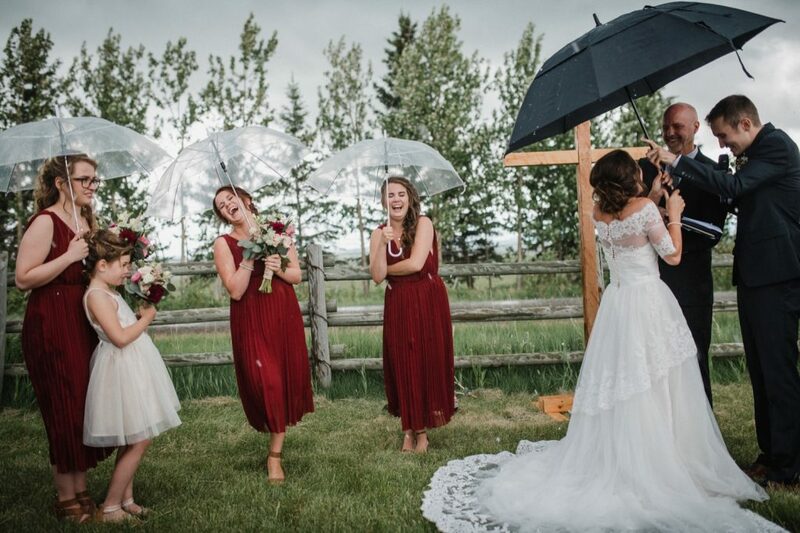 The rest of the night was spent dancing our hearts out with the sound of rain on the roof of our tiny country community hall, me with the muddiest bare feet ever – I would not change a thing.